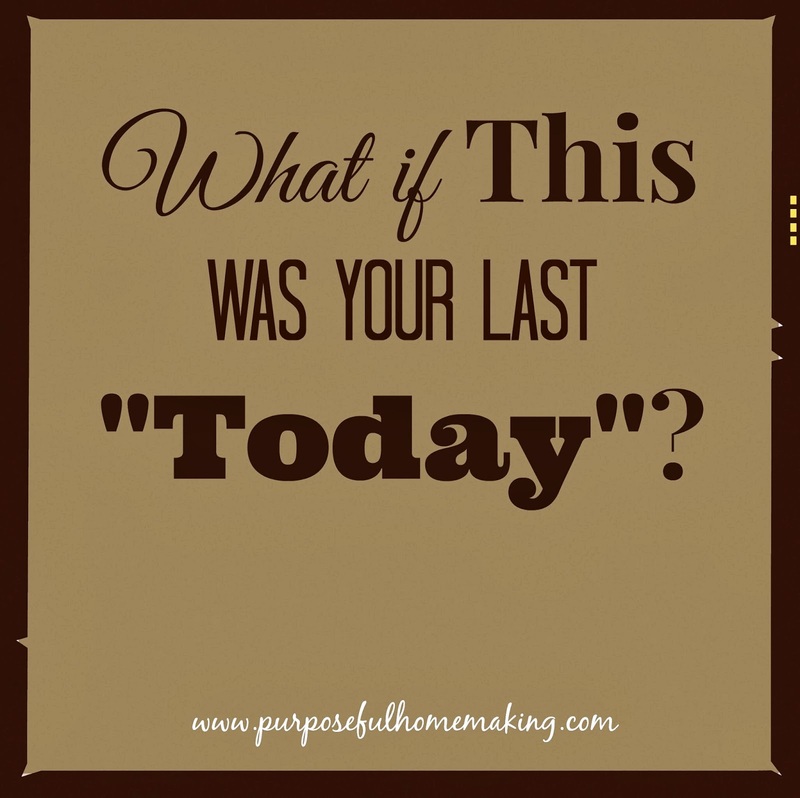 Purposeful Homemaking: What if This was Your Last "Today"? 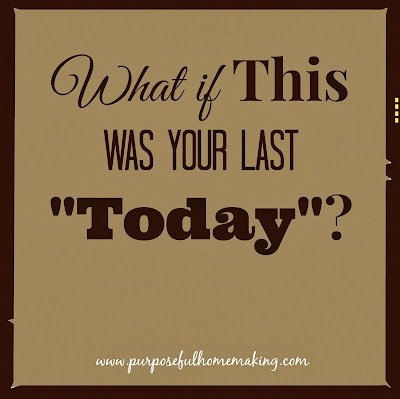 What if This was Your Last "Today"? If today was your last day on earth, what would you do with your kids? Tell them what you like about them? Tell them you love them? If today was your last day on earth, what would you do for your husband? Write him a note letting him know how much you appreciate him? Spend some time alone with him? Praise him in front of your children? The truth is, we never know when our last day on earth will be and we would do well to keep that in mind. Part of not living with regrets is living with the end in mind. Choose one thing that want to do for your children and your husband and do it today. You won't regret it! Thanks so much for visiting Purposeful Homemaking. I'd love for you to stay connected so click on the icon below to sign up for my newsletter. You can also find me on various social media such as Facebook, Twitter, Google+ and Pinterest.